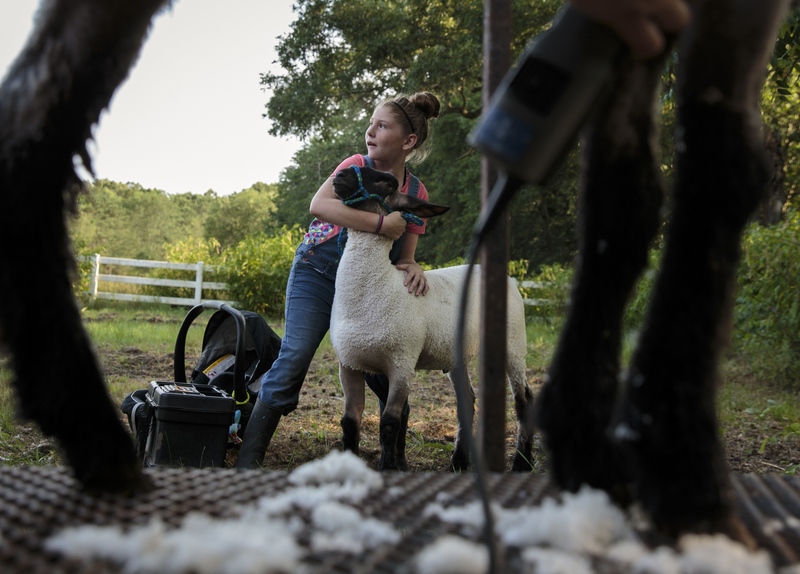 Mackenzie holds her sheep Gunther while her other sheep, Rosita, gets trimmed for the upcoming county fair. She named her sheep after characters in the movie Sing. 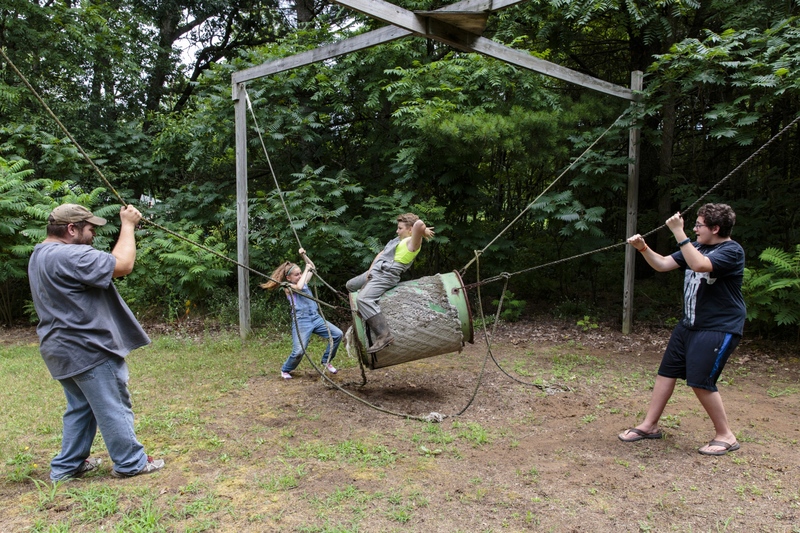 Chad, left, and his children take turns riding a bucking barrel ride outside his house. 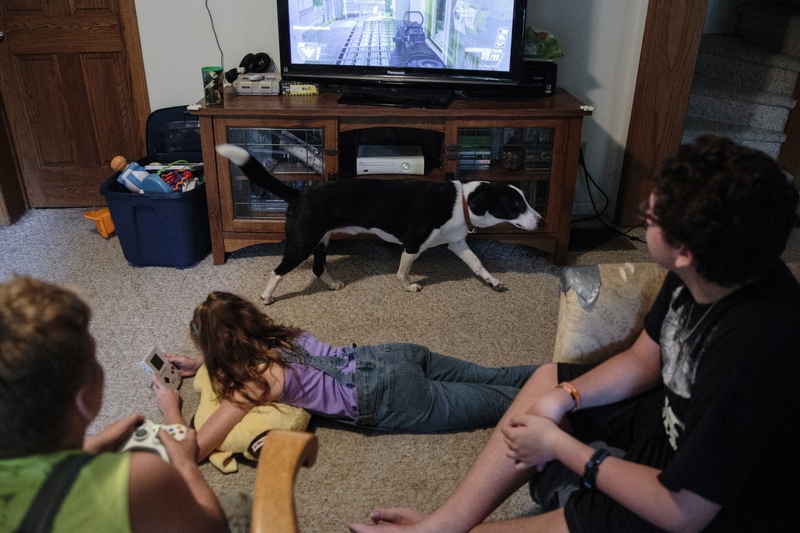 Chad's six-year-old dog Spudz passes Harkin, Mackenzie, and their older brother Logan Bartlett, 14, as they play video games in the living room. During the weekdays, everything falls onto Chad’s shoulders. 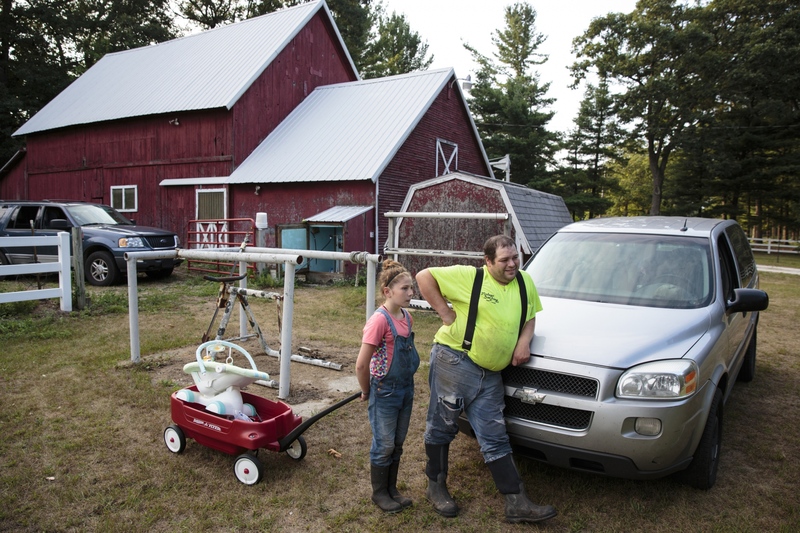 He said his biggest challenge is juggling his 50-hour-per-week trucking job and taking care of the animals by himself when the siblings are at their mother's in Allendale, Michigan. 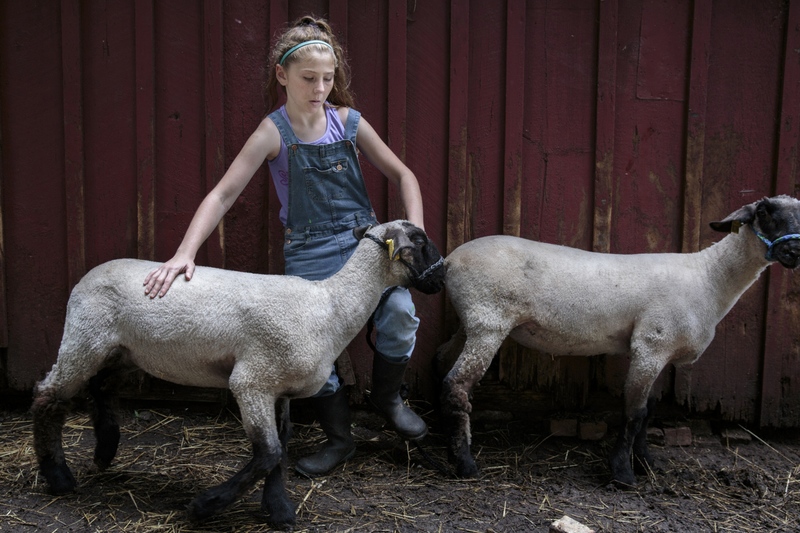 Mackenzie practices putting on a halter on her sheep Gunter and Rosita at her father's house. 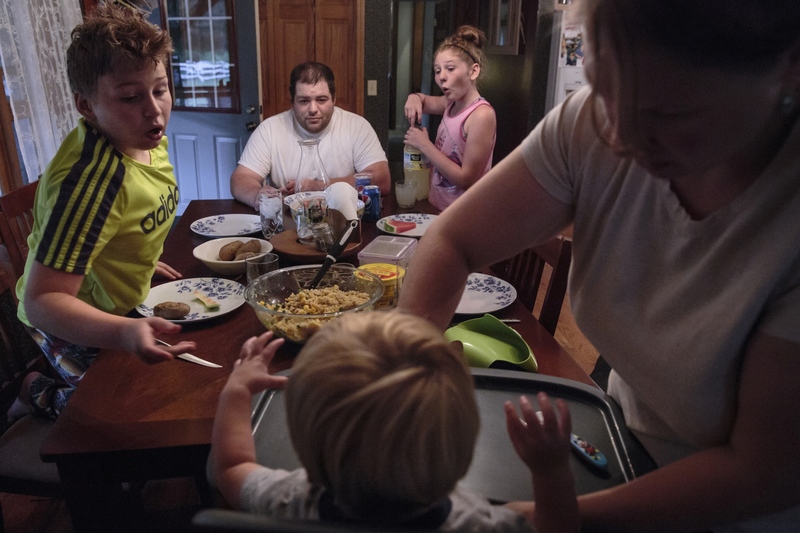 Mackenzie and her older brother Harkin Bartlett, 12, live with their mother and grandparents about 45 minutes south of their father Chad’s home in Twin Lake. 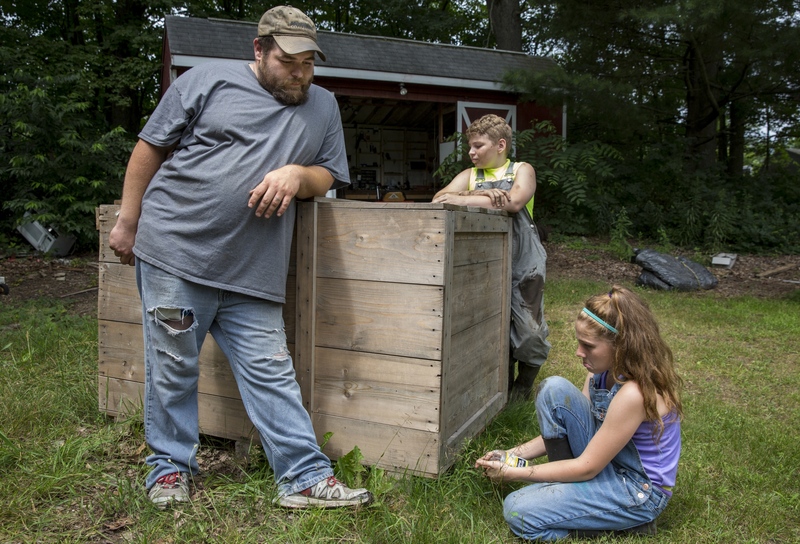 Since April, the siblings have visited their father’s house every other weekend and worked together to raise market animals to show and sell at the county fair. 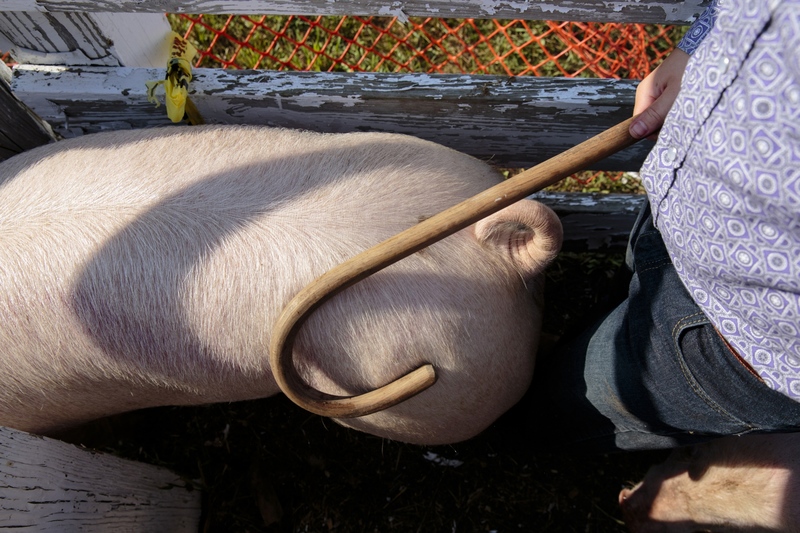 Harkin leads his hog, Ace, to the show arena with his cane at Newaygo County Fair in Fremont, Michigan. 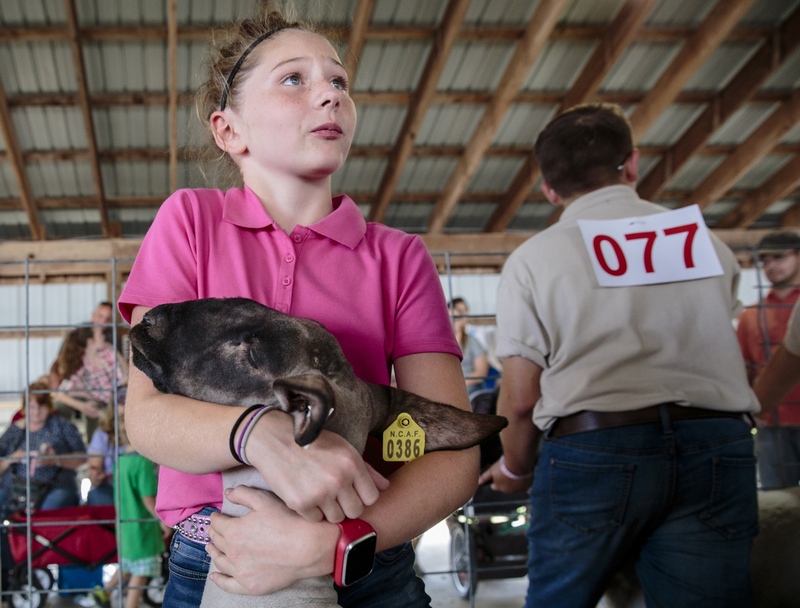 It is the second year in 4-H for Harkin, who has raised two hogs, Ace and Blizt. 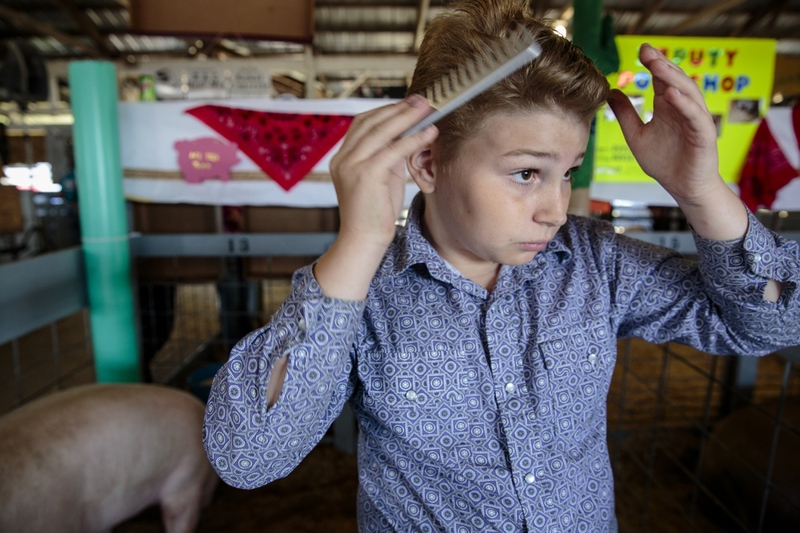 Harkin combs his hair in his pig's pen before the show at the county fair. Harkin said he was initially attracted to the idea of making money by raising the market animals. “But in the end, I just took all that out of the picture and decided I was going to do it, because I thought it would be fun,” Harkin said. Mackenzie waits for her turn to show her sheep Gunter in the show arena at the county fair. Chad consoles Mackenzie before showing her sheep Gunter in the arena. The fair marked the end of the children's project, but it also meant it would soon be time for them to say goodbye to the animals.